This is an indoor plant given to us by Chris Yeardley. It's similar in appearance to a Spathiphyllum, but the leaves are different. 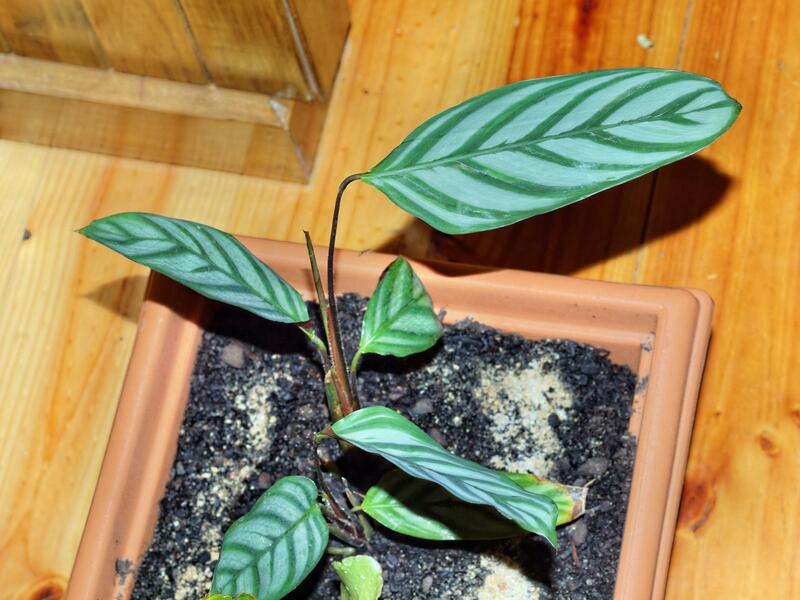 In the past I've been told it's a Maranta, but Emily of Steve Jones Gardening and Landscape suggests that it might be a Calathea zebrina or Calathea ornata. Those plants look similar, but I suspect it's a difference species of Calathea.